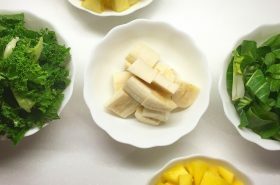 Sometimes the best recipes are the simplest ones and this one is so easy that you’ll make it time and time again! 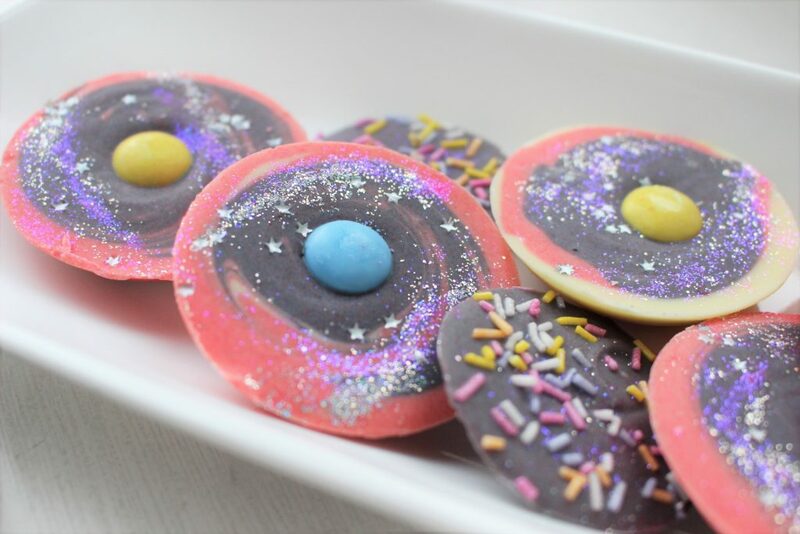 I present to you Unicorn UFO chocolates. 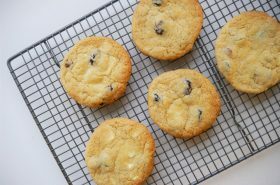 You can change this recipe easily and add whatever you have in your pantry. 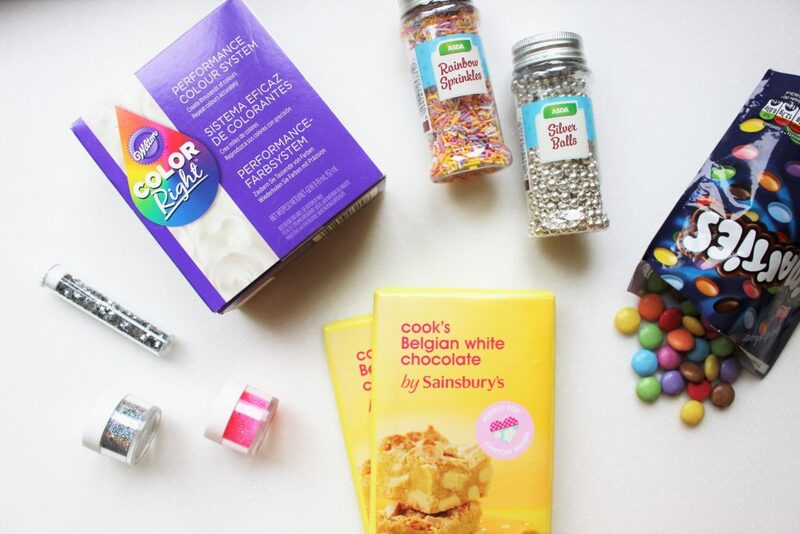 You could swap the Smarties for M&Ms or Reese’s Pieces, add some popping candy, or even switch up the colours of the food dye. 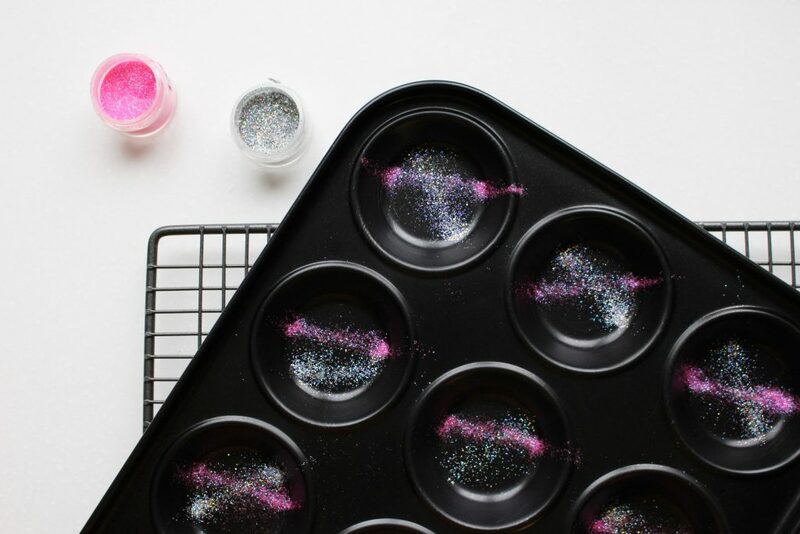 Sprinkle the glitter, edible stars and silver balls into the cupcake tray. 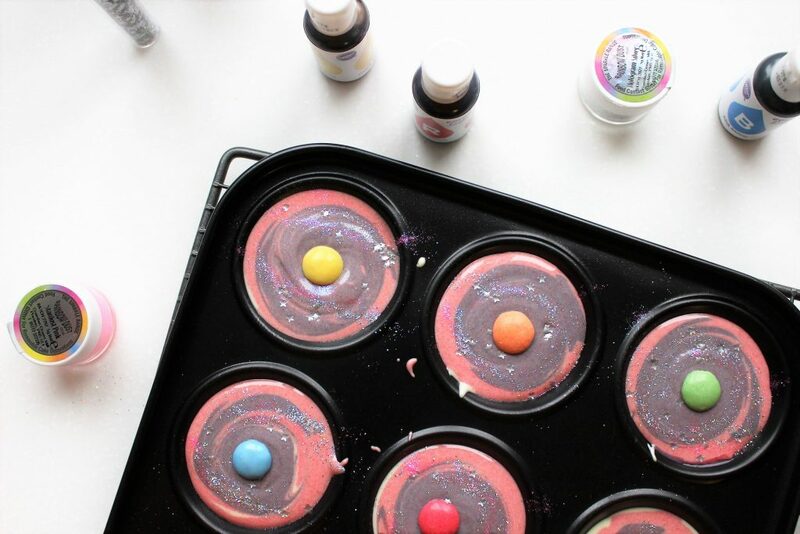 The cupcake tray will be your mould for these chocolates. 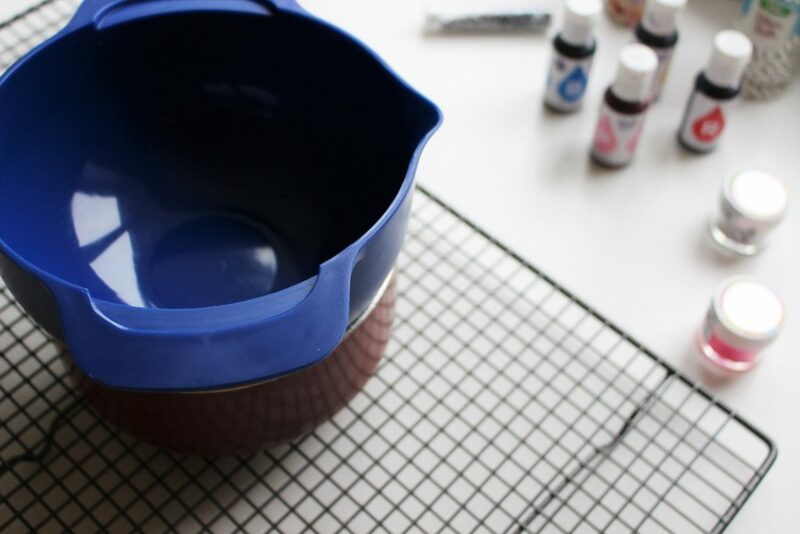 Place a mixing bowl over a pan of hot water. I like to use the Blue Bowl from the Joseph and Joseph Nest 9 Plus nesting bowl set. It has a handy pouring spout on the edge. Place the white chocolate into the mixing bowl and allow it to melt. Be patient; it may take some time. 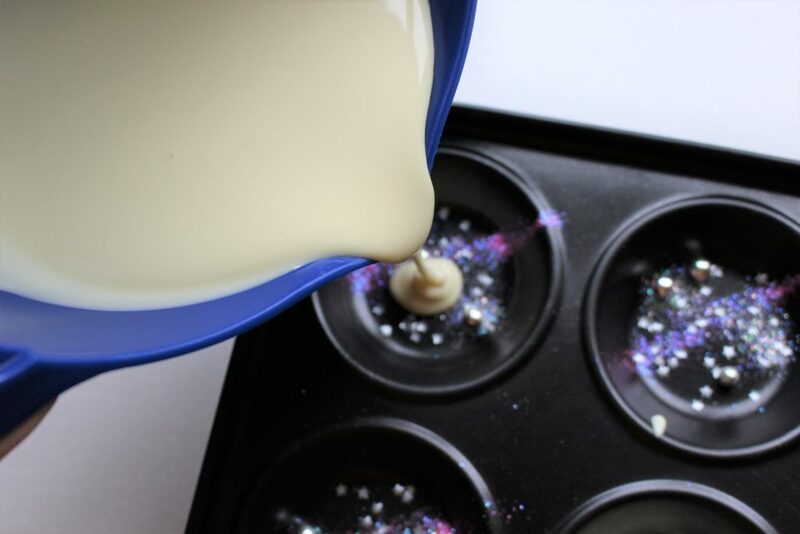 Pour a third of the melted white chocolate into the cupcake tray. 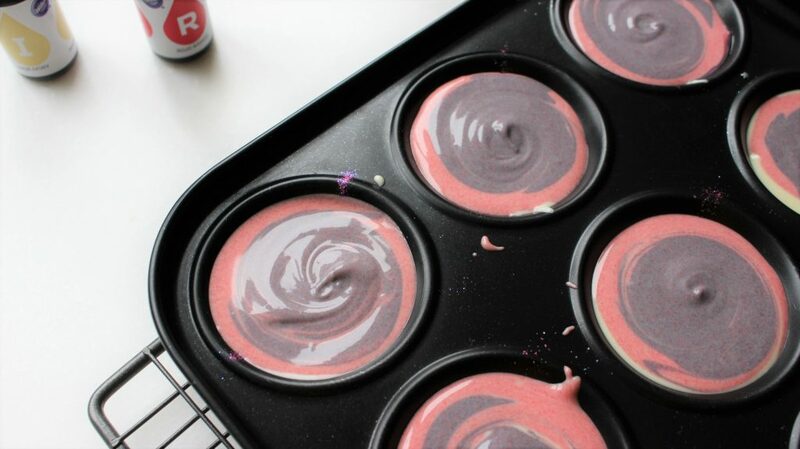 Add some red food colouring to the remaining chocolate and give it a good mix. 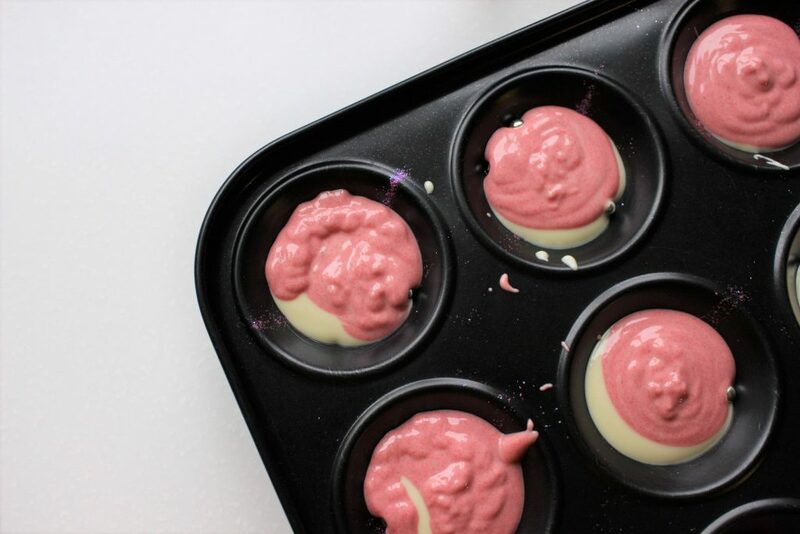 Pour half of the pink coloured chocolate over the white chocolate. Add the blue food colouring to the remaining chocolate and give it a good mix. You’ll get a lovely purple colour. 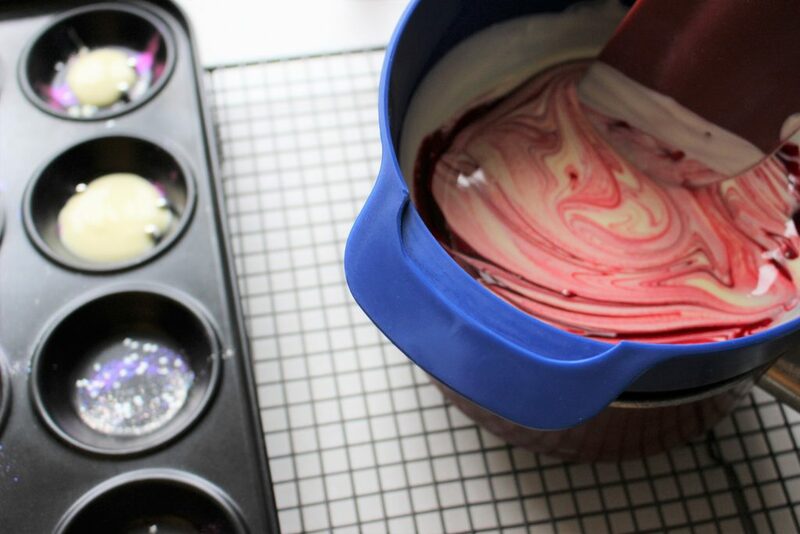 Pour the purple chocolate over the top of the pink and white chocolate. You can use a cocktail stick to give the chocolates a light swirl. They start to look like swirling galaxies at this point. 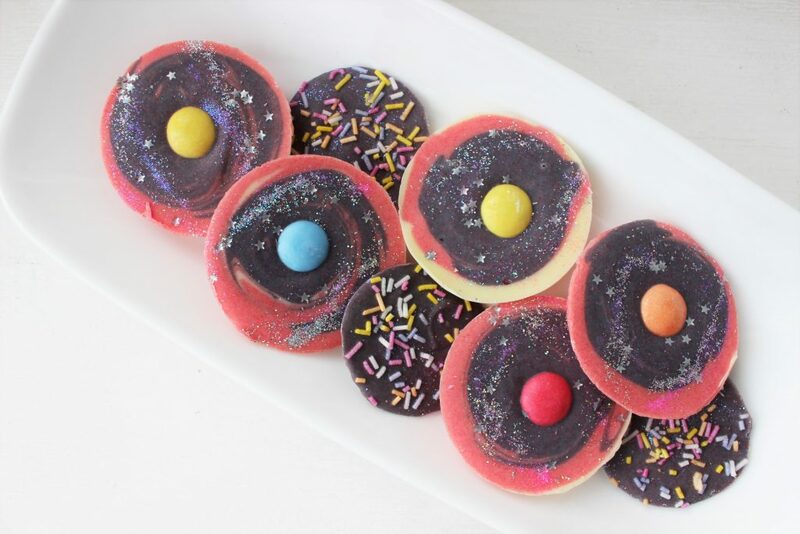 Add Smarties to the centre of each of the chocolates. 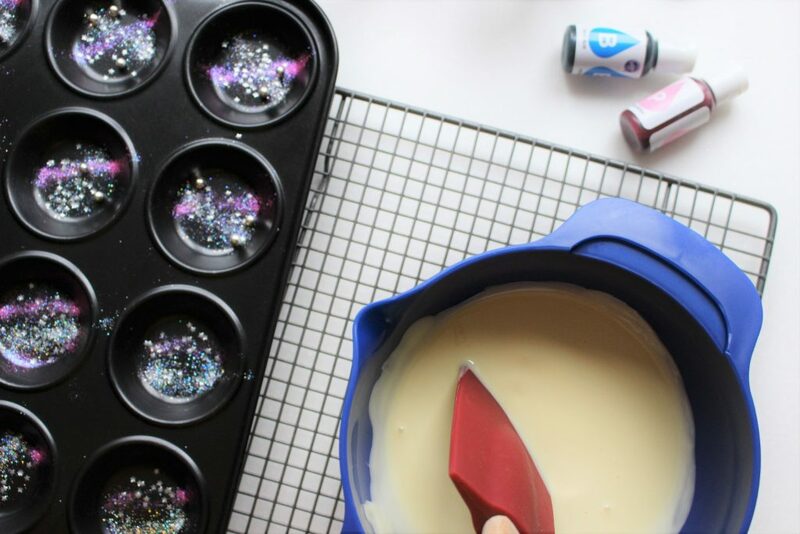 Sprinkle more glitter and stars over the top. 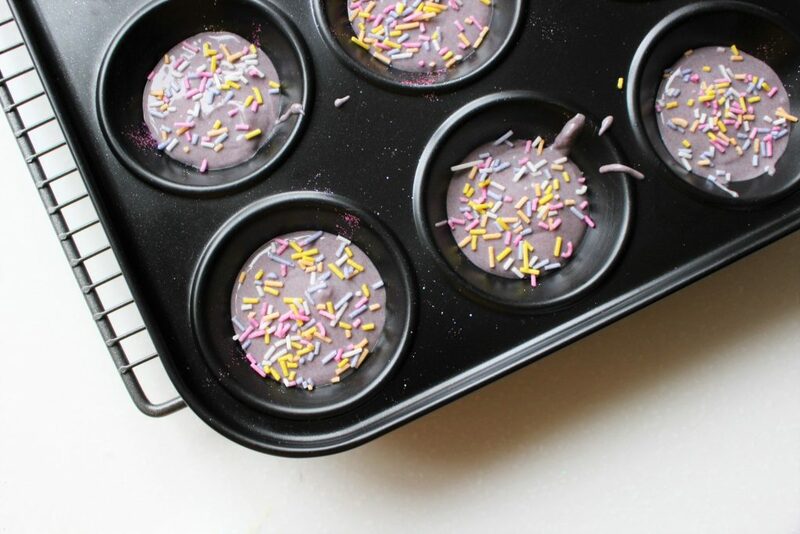 Alternatively you can add Sprinkles onto the chocolate. 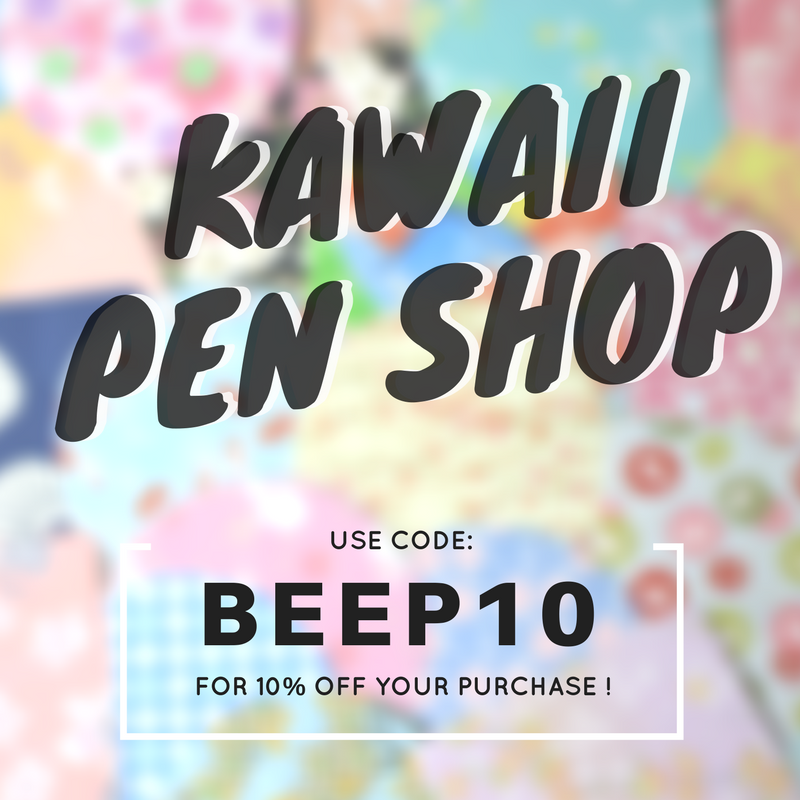 I think these ones look cute and have that funky 90s vibe. Place the chocolates in the fridge to set. This will take around an hour or so. You’ll know when they are set as the chocolates will pop straight out of the tray. Thank you to Joseph and Joseph who kindly sent me some of their wonderful products to use for this recipe.